Zoe, a native of San Francisco, is a hardworking student who has devoted herself to the study of art and history at Spalding University. 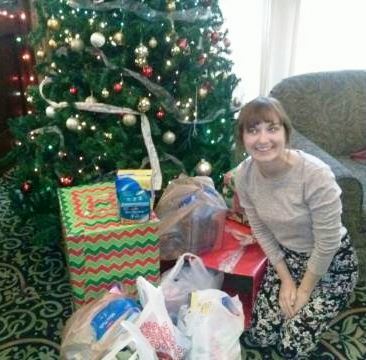 The rigors of academics keep her busy, but Zoe made time for others less fortunate by collecting and donated a supply of personal hygiene products for the women in Wayside Christian Mission’s Sober Living Program. Zoe first learned about the women’s recovery program through another volunteer project; understanding the mission’s needs, she recruited family and friends to join her in collecting personal items needed by our women. We receive a number of donations from individuals who simply sent out an email to family, friends, and coworkers to collect canned goods, boxed foods, toiletry items, or winter clothing for Wayside Christian Mission. Launching a donation drive is really quite easy and it feels good helping those in need. We have over six hundred women, men, and children in our care. We need your help.